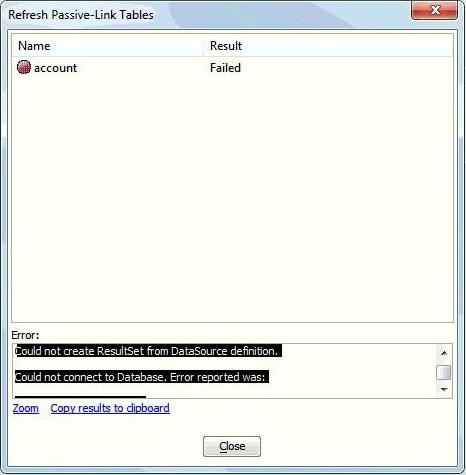 We upgraded to QuickBooks Enterprise 15 and now we cannot get QReportBuilder to refresh data. 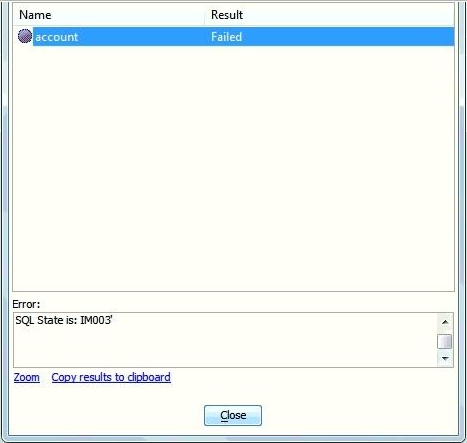 Error message: Could not create ResultSet from DataSource definition. Your database has returned the following error code and description to Alpha Five. Consult your database documentation for further information. 160 - 'Specified driver could not be loaded due to system error 182: (QODBC Driver for QuickBooks, C:\Windows\system32\fqqb32.dll). 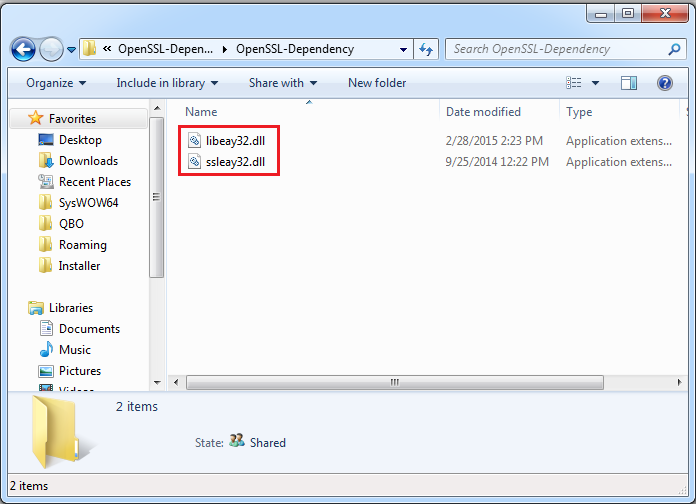 You might face this issue if ssleay32.dll & libeay32.dll (Open SSL files) corrupted or old. 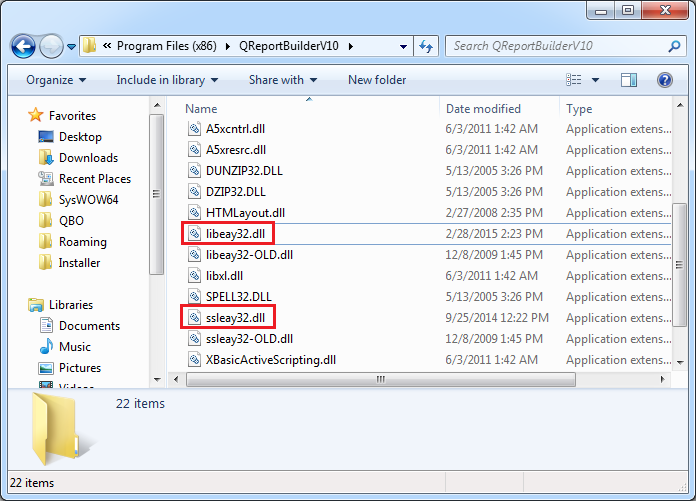 To resolve this issue, You need to rename libeay32.dll & ssleay32.dll file from the QReportBuilder installation folder (i.e. C:\Program Files (x86)\QReportBuilderV10). 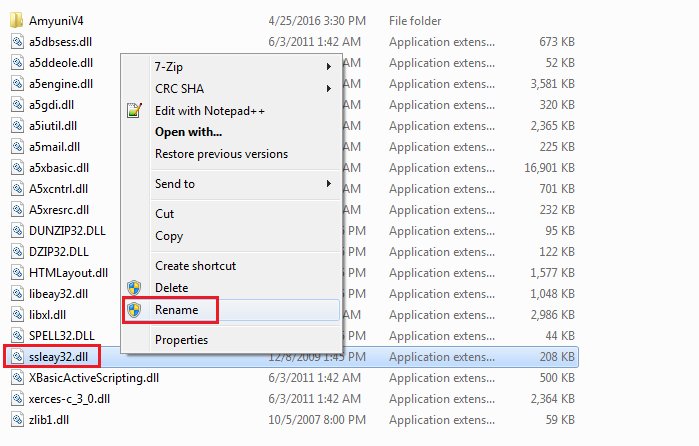 To rename the file right-click on file name & click "Rename". 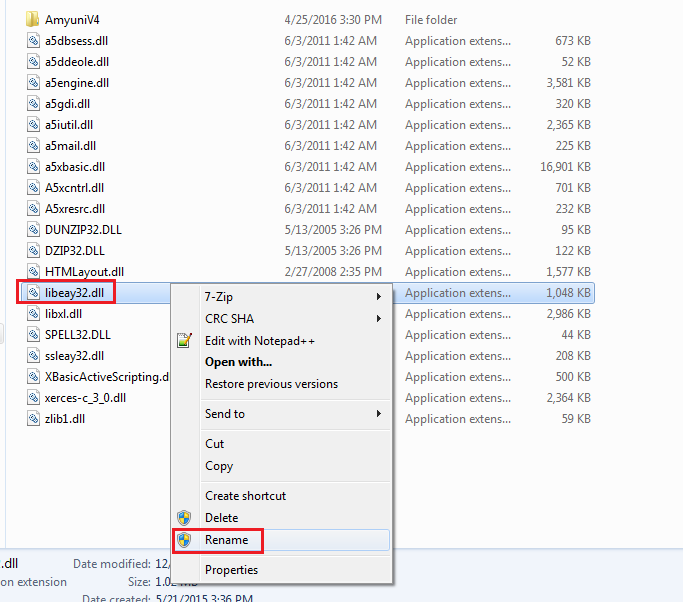 After renaming file download updated DLL by clicking here. 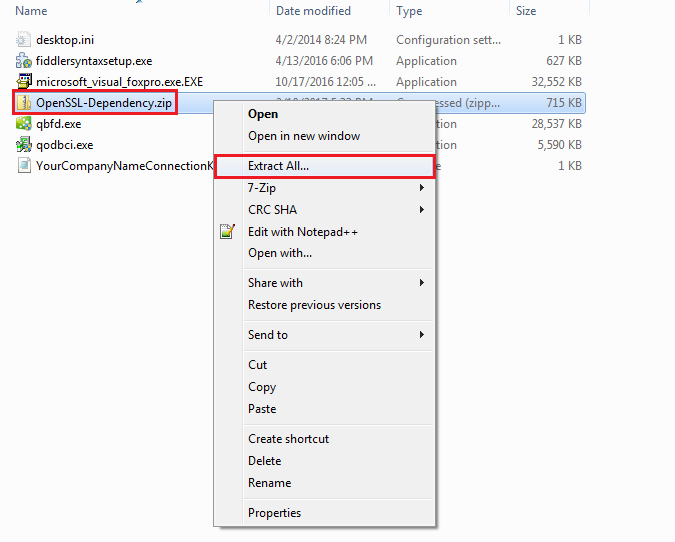 After downloading the file, Extract zip file by right-clicking on OpenSSL-Dependency.zip file & click "Extract ALL...". 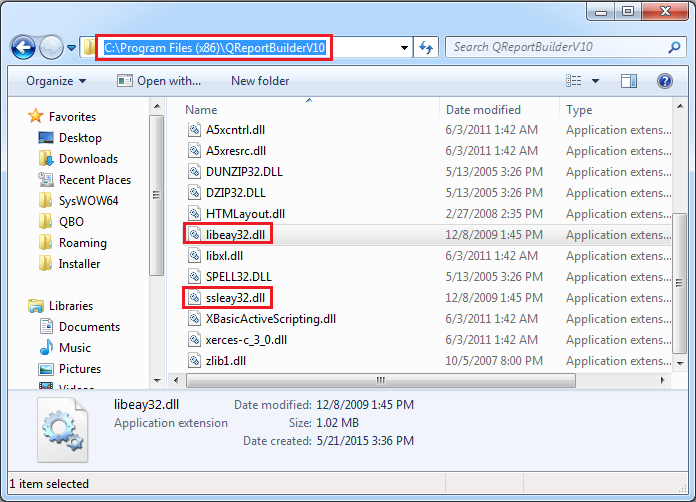 After Extracting file, Please copy file from extract folder & paste in QReportBuilder installation folder (C:\Program Files (x86)\QReportBuilderV10\) & test report again.